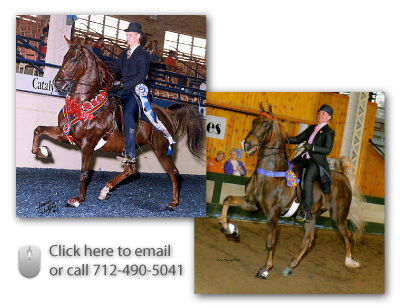 Isaac Deurloo, our principle instructor, has been riding horses for 29 years, showing for 24 and training for 16 years. He is versed in several disciplines including saddle seat, hunt seat, gaited, western, reining and driving. He successfully trains all levels of horses and riders. 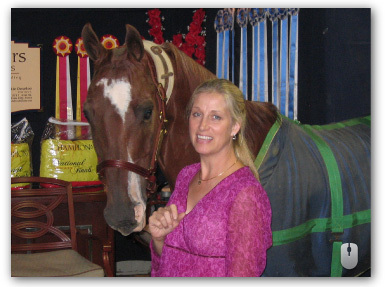 Seven Wonders Stable has evolved from showing, breeding, raising and training solely purebred Arabians, National Show Horses and more recently American Saddlebred and Hackney ponies. Check out our Facebook page for a calendar of events. Isaac and his customers show 7 Wonders horses throughout the country, winning numerous reserve and national championships.